How does AuditionInside work for employers? If you are an employer looking to post an audition or submission notice, you will first want to click the employer navigation button located at the top of the page. Once here, create an account. Following this, for security purposes, we will verify the identity of your company. Once verification is complete, you will be able to login and post an audition or submission notice to our website. Our members are serious artists looking for new job opportunities. If they have a membership account, the artists will be able to view your whole notice and apply as directed. Do I have to post an Audition? Absolutely, not! If you would rather post a submission notice for your job opportunity, feel free to do so. Once you log in to post your audition, you will have the option to indicate the notice as a submission. Please make sure to include where your applicants should submit too! No, we have opened the option for non-paid jobs because of the non-profit organizations we support. If we can verify the identity of the poster and their opportunity, they are more than welcome to post. If you decide to post a non-paid opportunity, you must indicate this when filling out the notice. How much does it cost to post an audition? I signed up! How do I login to my account? Use this link to login to your account. *Check out our “How-To” video’s on the AuditionInside YouTube channel! I forgot my password to my account. How do I reset it? You must know your user name or your email address to submit for a password reset. Click here to reset your password. *Check out our “How-To” video’s on the AuditionInside YouTube channel! Login to our website and select “Edit my profile” in the upper right hand corner of the screen. From here you will be able to enter a new password. Click update once you confirm the password. How do I post an audition? Posting an audition is simple. There are a few requirements and the document can be found by clicking on the following link How to Post on Audition Inside. *Check out our “How-To” video’s on the AuditionInside YouTube channel! I need to remove my audition notice from AuditionInside. How can I do this? Your audition will expire and be removed the day after the indicated audition date. If you wish to remove it prior to your audition, please notify us at employersupport@auditioninside.com. *Check out our “How-To” video’s on the AuditionInside YouTube channel! I need to remove my submission notice from AuditionInside. How can I do this? Login to our website and select “Edit my profile.” Here you will be able to manipulate your auditions. *Check out our “How-To” video’s on the AuditionInside YouTube channel! I would like to advertise on AuditionInside. How can I do this? 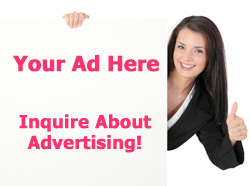 You may click on any link that says “Advertise with us!” Or, follow the link here. Once you have logged in to our website, click on your profile name at the top right hand corner of the page. Then select “Edit my profile.” Here you will have the option to cancel your account. There are no answers to my question! How do I contact AuditionInside? You may reach us at employersupport@auditioninside.com for all inquiries.